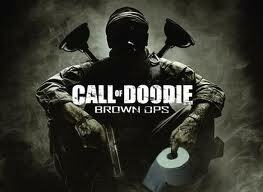 Fodder 4 Fathers - F4F Blog - THE CALL OF DOODIE: 4 THOSE ABOUT TO ROCK (FATHERHOOD) - WE SALUTE YOU! THE CALL OF DOODIE: 4 THOSE ABOUT TO ROCK (FATHERHOOD) - WE SALUTE YOU! Since I began blogging, there have been many occasions where I have focused on the fears of first time fatherhood but few where I have discussed the joys of being a dad. Today I was reminded of why I do what I do - both being a hands-on father and choosing to write about it. To me, there is nothing better than being a dad. Sure, it has its moments- the ones where I walk through the door at the end of the day and a want to turn back around and walk right back out- but I don't try to escape because I recognize that I'm part of a team, and when my partner (my wife) needs to tag out I'm her only relief. It works both ways, but I have to say, if the roles between mothers and fathers have blurred over the last several decades, I'm as good an example as any that a father can do it all (with a little help). Fatherhood isn't a job, it's a joy, and once you see it as that you'll never ever complain about changing a diaper, having food flung at you, or standing outside your daughter's door as she screams her head off because you had to give her a time out. It's all funny. I can get angry at adults all day long, but the second I'm around my daughter there is a sense of calm that comes over me. It's as simple as seeing her crooked smile or hearing her say "Hi Dally" (her version of "Daddy") when I walk through the door. How can you get resent someone who wakes up in the morning screaming your name (your first name... then your full name... then a variation of Daddy and either your first name and your last name), not out of anger or frustration but because she just wants to hang out with you (after you bring her a bottle, of course). That's not work. That's a reason to get up in the morning. I get it. It's a personality thing- some men just aren't cut out for it. My own father, once remarried, invited my eldest brother to sleep over only to call my mother an hour later begging her to take him back. But that was then. He still had his mother cooking all his meals and doing his laundry. I don't need anybody to do that. In fact, I have no problem doing it almost daily for others. If my wife leaves town for the day, I don't get a long list of things to do, or numbers to call- I get a kiss on the cheek, a wave goodbye and a simple "have fun." And if my wife does call to check in it's because she's a little jealous that we're having fun without her. She doesn't freak out, and neither do I- it's just another day of being a dad. And I, like millions of other dads (like me), can do it with my eyes closed (it's a requirement of hide and seek). So I find it funny, on days like today when I take my daughter out for breakfast (our one-on-one time) that people still don't get it. I see the stares. I see the smiles. I see the puzzlement on people's faces as they try to figure out why my daughter isn't crying. "How does he do it" they must be asking themselves? She's just sitting there... coloring, perfectly content as her father, go figure, colors along with her and both feeds her and himself with what seems like no effort at all. How is that even possible? There's no screaming (from father or daughter), no food on the floor, no whining or begging or bartering- just a dad sitting across from his little girl in a crowded restaurant quietly doing what he does best... parenting. It's not rocket science or the result of months of reading, its common sense and loving what you do; and who you are doing it for. It's a simple equation for me: DAD + 20-MONTH-OLD DAUGHTER= FUN... and not just for the puzzled looks on people's faces. Sure, my daughter walked all over me (literally) all day as we played together on the floor, and sure she had the odd boo boo (with neither one of us finding it necessary to scream for our mommies), but when it was all said and done I wasn't waiting to put her to bed- I was sad it was over. 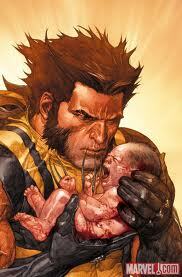 And, if you ask me, that's the true test of what it is to be a father. That's what it is to be a "dad." So, welcome to the New Fatherhood, my friends! It rocks... don't let anybody tell you differently. I love reading your blog! Your wife and daughter and lucky to have you as you are to have them! For the dads that "don't get it", look to Adam because he really does enjoy being a dad. His little girl will have some magical memories to share! Just last night your wife and I were discussing what a fabulous father you are! You (and my husband too :)) are a very rare breed and we agree that we are extremely lucky to have such wonderful, involved partners! I hope you "sang" our praises, Deb. (And good luck, btw).